If you are considering buying a Charlottesville historic home browse through our listings below by price or by the year the home was built. 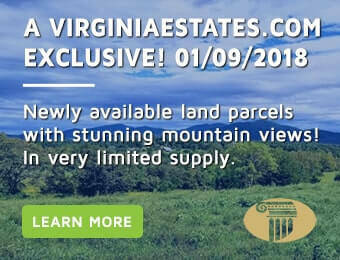 We can set you up with one of our specializing agents who can answer all of your questions about owning a unique piece of Central Virginia history. Whether you’ve enjoyed a slow car drive down Monument Avenue, examined the 1920’s plaques adorning the houses in the fan, or spent a day soaking up the stories told in one of numerous museums, Richmond is clearly a town with a wonderfully rich history that is cherished, honored and shared. Another way that pride manifests is in the beautifully kept and/or restored Richmond historic homes. These historic homes are readily viewable in the Fan and along some of the posher main drags, yet the best real estate professional can guide you to tucked-away neighborhoods and just outside the city properties that also feature Richmond historic homes, ready and waiting for a passionate owner to fill it with life and love once more. If you are considering purchasing a Richmond property, we hope you will give us a call at Virginia Estates. Our agents that specialize in the historic home market will be delighted to assist you in any way they can. There are special considerations involved with purchasing historic Richmond real estate including determining structural soundness, analyzing how a potential renovation will factor into your price range, and navigating a landscape of zoning laws, permit requirements, restrictive covenants and other law associated with owning a historic home. Buying and restoring a Richmond historic home can also offer possible benefits including funding programs, special financing, and future tax breaks which our agents can help you to understand. While the purchase and possible renovation of a Richmond historic home may seem a daunting yet desirable task, our agents have both an in-depth knowledge of the current offerings available as well as extensive experience in helping clients step-by-step through the process of determining their criteria, assessing possible matches, negotiating a great deal and handling a smooth closing on their dream Richmond historic home. More Richmond Real Estate here.